Well, anyway, here’s a bit of news! 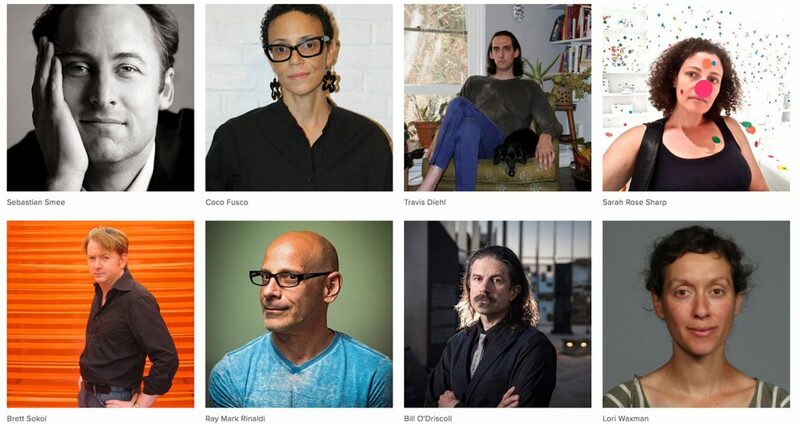 Portland, Maine, July 23, 2018– The Dorothea & Leo Rabkin Foundation grant program for visual art journalists has awarded grants of $50,000 each to eight writers: Coco Fusco (NY & Miami, Florida); Sarah Rose Sharp (Detroit, Michigan); Lori Waxman (Chicago, Illinois); William O’Driscoll (Pittsburgh,Pennsylvania); Ray Mark Rinaldi (Denver, Colorado); Sebastian Smee (Boston, Massachusetts); Brett Sokol (Miami, Florida); Travis Diehl (Los Angeles, California). This year’s winning journalists publish regularly in the Chicago Tribune; New York Times; Brooklyn Rail; Pittsburgh Post-Gazette; Artforum; Hyperallergic; Denver Post; Texte Zur Kunst; WQED-TV; Burnaway; One Good Eye; Art in America; Flash Art; Detroit Free Press; Infinite Mile; Frieze Magazine; Washington Post; Boston Globe; X-TRA; Garage; The Guardian; The Art Los Angeles Reader; Aperture; Dwell; Documenta; Objectiv; City Paper and Ocean Drive. Participating Jurors were: Miranda Lash, Curator of Contemporary Art at the Speed Museum in Louisville, Kentucky; Lee Kaplan, founder of Arcana: Books on the Arts, Culver City, California; and Karen Wilkin, independent curator and art critic, & Atelier Head of Art History at the New York Studio School. This is the second cycle of grants provided by the Dorothea and Leo Rabkin Foundation of Portland, Maine. Leo Rabkin was an artist who worked and exhibited in New York City for sixty years. His wife, Dorothea, joined with Leo to create a landmark collection of American folk and outsider art. They lived in Chelsea and had a wide circle of friends including artists, writers and curators in New York City and beyond. Dorothea Rabkin (1921-2008) emigrated to the United States from Berlin, Germany, after World War II having been hidden throughout the war accompanied by her twin sister. She grew to love America for its cultural and artistic freedom. Leo Rabkin died in 2015 at the age of ninety-five. He hadmany friends among the city’s art journalists and was an avid reader of the art press. Leo valued the essential role of visual arts journalists in the fast-changing art world. He and Dorothea had several art writers as close friends and understood the financially precarious circumstances of many in the profession. Ours is an award for past achievement, but we also hope it will provide a bit of time for unfettered creativity, reflection, and renewal for those who are chosen each year,” said Susan C. Larsen Ph.D., Executive Director of the Rabkin Foundation and a longtime friend of both Leo and Dorothea. The grant program is by nomination only. A distinguished group of sixteen nominators, working in the visual arts in all parts of the country, provided the list of potential winners. The nominators were askedto identify, “The essential visual art journalist working in your part of the country.” Candidates for theaward submitted two recent articles and a brief curriculum vita. Our jury considered each one and deliberated together in Portland in mid-July to come up with the final list. Writers can be re-nominated and are eligible until they win a Rabkin Prize in Visual Arts Journalism. This is an annual program and the central initiative of the foundation. On a personal note, this is an incredible gift. I am flattered, I am honored, I am real hecking excited, and I also have not the faintest clue who put me up for this nomination-only award – so I have no way to thank you personally. I don’t know if you’re reading this, but truly, it means the world to me. Thank you so much for this life-changing opportunity. Money is nice, of course (of course!! ), but it was incredibly moving just to hear I’d been nominated. Writing is work that must (for me) be done in seclusion, and my position in the arts community can be, at times, profoundly isolating. The reminder that there is someone (and someones) looking out for me came at a really critical moment. So, thank you. Thank you very much. I think art is so important. I have dedicated a huge portion of my life to it. It feels incredible to receive unexpected recognition. Thanks to everyone who takes the time to let me know when my work means something to them (even something negative – critique is an equal opportunity endeavor)! Thank you also, obviously, to the Rabkin Foundation, and the selection panel. From start to finish, this award process has reflected a deep understanding of the challenges facing anyone who undertakes to be a full-time arts writer. I am honored by this application of resources and generosity of spirit.